It's been a while! I hope you had a relaxing and warm christmas break. I certainly did, with loads of down time to make far too ambitious plans for 2019. In October last year I was one of 12 participants of the Show Me Festival, selected through an online competition. We got together for a short week filled with workshops, composing sessions, recordings, and were all given the chance to perform a solo or duo showcase at Moods Jazzclub in Zurich. Looking back at it now, I'm relieved to see that I found a moment of calmness in the storm, which is why I've chosen to release the entire performance as one video; to convey as much of the live experience as possible. Many thanks to the Show Me organisation and Moods Digital for making this video possible. Those were the highlights for now. Obviously there's a lot more going on at the moment, so have a look around on my website if you're interested in more news, and click here for a full list of future performances. 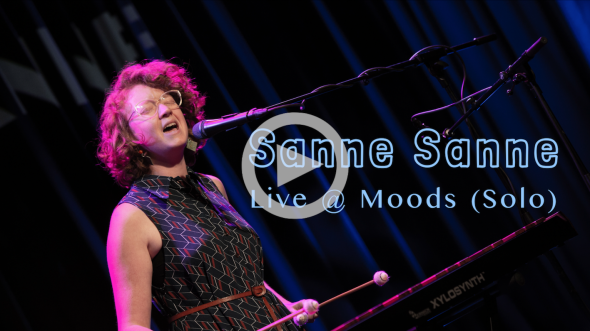 You received this email because you are registered with Sanne Huijbregts Music.